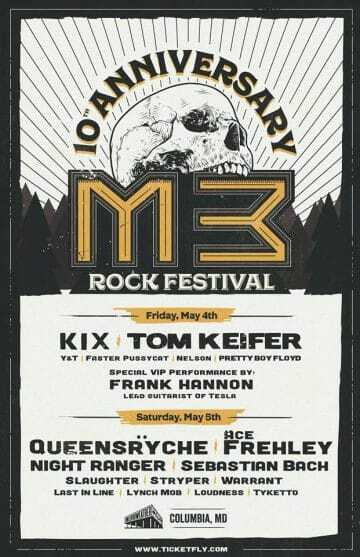 With Day Two of M3 Rock Festival‘s 10th year anniversary fresh in my mind, I actually wrote my review of the first half of Day Two before starting with Day One. Why is that you may ask? Well, there were such highs and a few lows during Day Two compared to Day One making reviewing Day Two more exciting. 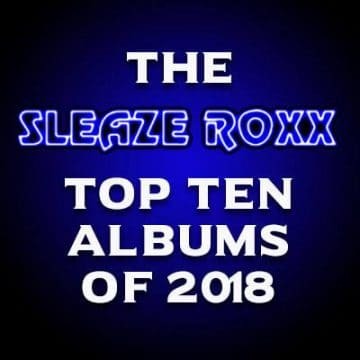 I get that some of you may not think reviewing a concert is even fun or “exciting” but for me, writing concert reviews is my favorite part of my overall Sleaze Roxx duties. Contrary to Day One of the M3 Rock Festival, the temperature was much more reasonable (and lower) meaning that the heat and humidity would not be an issue this time around. Unlike Day One, I decided to properly pace myself with timely beverages and food to sustain my energy levels. The $9 US sausages with trimmings were quite yummy. Having had a good night’s sleep after Day One also really helped to make it through the 12 hours of pretty much non-stop music. Once again, I was going to be able to rely on world class photos to accompany my M3 review courtesy of Christopher Carroll and Joe Schaeffer so did not have to worry about at least getting one decent photo of each band to accompany this review. Thank you gentlemen! Tyketto were first up at 11:00 am on Day Two. As the band members walked on stage, the rather old but classic song “Good Morning” (I believe originally written for Garland & Rooney‘s 1939 film, Babes In Arms, as per my internet research) with the lyrics “Good morning, Good morning, Good morning to you” was blaring over the PA system. Clearly, Tyketto have a good sense of humour. I could see M3 Rock Festival host Eddie Trunk speaking to Tyketto frontman Danny Vaughn. I presume that Trunk was asking Vaughn if Tyketto would like Trunk to introduce them and it appears that Vaughn politely declined. Funny enough, I was wishing that I had a great gig like Trunk presumably getting paid to host the M3 Rock Festival because I did not see (or perhaps notice) Trunk for the rest of Day Two. 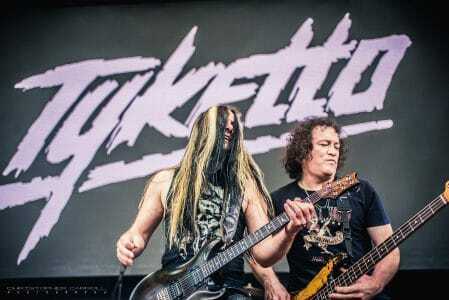 Although Tyketto aren’t a band that I usually listen to, I was blown away by their live performance when I first saw them perform live at the M3 Rock Festival back in 2015 and I was really looking forward to catching their set this time around. Vaughn is — bottom line — an excellent frontman and has a great voice, and once again, he did not disappoint. It’s a shame that Tyketto only had time to play six songs just like back in 2015 because the group is really great live. Vaughn wasn’t shy to address the crowd (which I always like) and noted at one point that he was the only one without little kids out of the band members so his bandmates were used to being up and running so early in the day. Although Tyketto only got to play six songs, they still played two off their new album Reach — the title track and “Big Money” — which I respect. My favorites from Tyketto this time around were “Burning Down Inside” and their set closer “Forever Young” which had a lot of the people in the audience singing along. 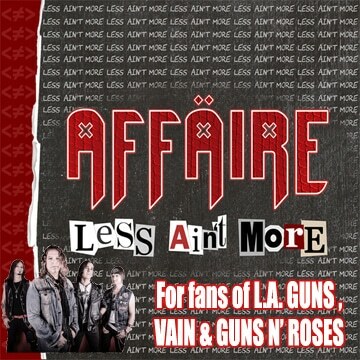 Unfortunately, Warrant were performing an acoustic style set, which is not my favorite. 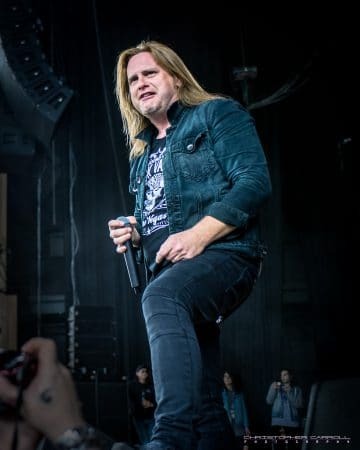 Warrant frontman Robert Mason noted how the band usually does not play such types of sets so I suppose that was something “special” for the M3 Rock Festival. I have to imagine that if Warrant were playing a plugged in set, they would have played a lot later in the day. Although I am not a fan of acoustic type gigs, I knew that at least Warrant had a great lead vocalist in Robert Mason who could likely — with his fantastic voice — carry the band through. That’s exactly what happened as if it wasn’t for Mason‘s superior vocals, I think that Warrant‘s acoustic set would have felt really flat. Being not that familiar with Warrant‘s song catalog aside from their biggest hit songs, I am embarrassed to say that I could not recognize or identify all six songs that they played. I got four out of the six. It seems that the group also played “Blind Faith” and “I Saw Red” based on what I have seen on the internet. Mason looked like he was itching to stand up to sing a number of times and he did indeed get up a few times while the rest of his bandmates stayed seated throughout the entire set. Drummer Steven Sweet did come out from behind his drum kit for a few songs to sing along while seated with the rest of his bandmates and occasionally played a tambourine or some other smaller instrument. It looked like all the band members were having fun up on stage. Unlike most of the other bands, Warrant brought some stage visuals (aside from amps) as their rather loud red and white album cover Louder Harder Faster was on full display behind them. Overall, Warrant put on a solid performance but the fact that they played an acoustic set was a downer given that I knew that they were capable of really rocking the place but didn’t this time around. 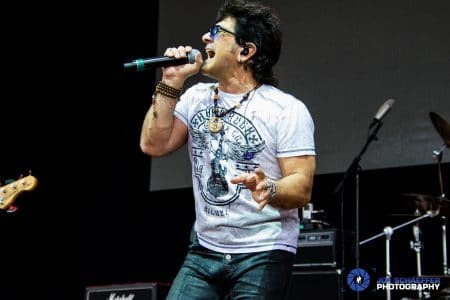 One group that I was curious to see live was Great White because I had never seen singer Terry Ilous fronting the band live. In fact, I had never seen Great White live. 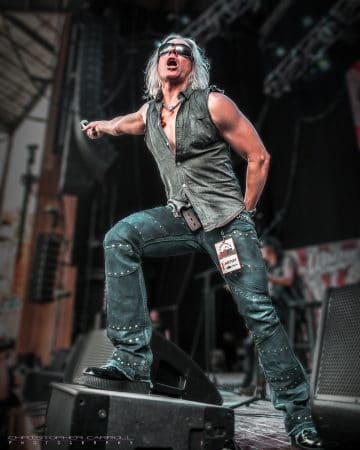 My first taste of Great White live was seeing Jack Russell’s Great White back in 2012 and since then, I have seen Jack Russell perform live a number of times with the most recent time dating back to Rock N Skull in 2016. 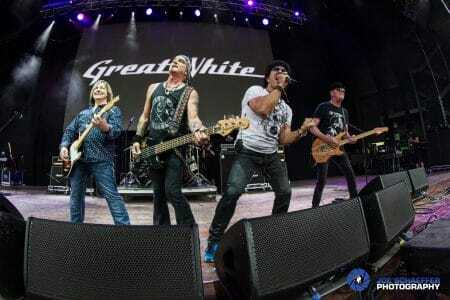 As Ilous pointed out at this year’s M3 Rock Festival, Great White had not played M3 since six years ago. It was my first time seeing Ilous on stage. The man clearly works out as he seemed to have a massive upper body. I thought that he did a good job singing the Great White classics but I prefer Russell‘s voice over his for those songs. Interestingly, I thought that Great White with guitarist Mark Kendall sounded better sonically than Russell‘s capable backing band. If only the Great White guys could reunite with Russell but then again, it’s nice to have two options for the band. I liked that Great White played two songs — “It’s Alright” and “Big Time” — from their new album Full Circle. To me, those songs aren’t really what I would equate to Great White but there is no denying that they were good songs. Although Ilous did address the M3 crowd, I felt that he didn’t have as much stage presence as I would have hoped. Overall, I just thought that something was missing to Great White‘s set. I guess that I am still having a hard time picturing Great White fronted by anyone else than Russell. Perhaps if I get to see Great White a couple more times live in the future, it will be easier to have Ilous front the veteran band. 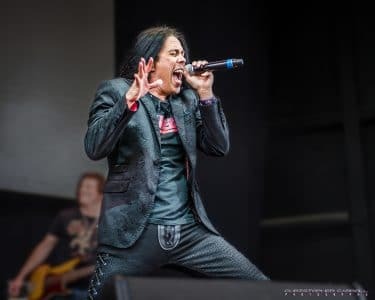 Tyketto‘s Danny Vaughn is a great singer. Same with Warrant‘s Robert Mason. 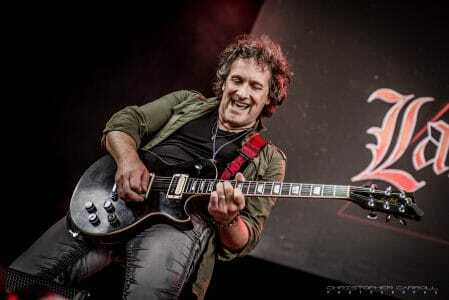 Same with Great White‘s Terry Ilous. And then, there is Last In Line‘s Andrew Freeman. Wow! What a voice! What a performance from the entire band. Unlike Ilous who didn’t quite command the stage presence that I was hoping for from a “new singer” with more established band members (Mark Kendall in Great White‘s case), Freeman had excellent stage presence despite being accompanied by legendary bandmates consisting of guitarist Vivian Campbell (Dio, Whitesnake, Def Leppard), drummer Vinny Appice (Black Sabbath, Dio) and bassist Phil Soussan (Ozzy Osbourne). Arguably, Freeman had the toughest job in the world as he had to sing songs written (or co-written) and previously performed by the one and only Ronnie James Dio. No pressure there! Not only did Freeman do justice to the early Dio songs, he simply killed it! I was absolutely floored by how good Freeman sounded. It was also great to see Campbell handling all the guitar duties and rocking out as he seems to almost unfairly play second fiddle to Phil Collen in Def Leppard. Campbell is a talented guitarist as his early Dio work clearly attests to and it was nice to see him get a chance to fully shine while handling guitar duties. It was also heartwarming to see the huge smile on Campbell‘s face as he was playing. He truly seemed to appreciate the moment. 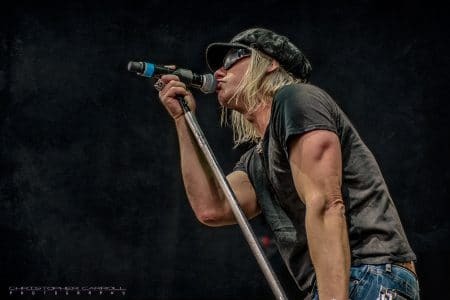 Obviously, out of all the performers at the M3 Rock Festival, Campbell would likely be the one most used to playing to crowd sizes as big as the one at M3 due to constantly touring with Def Leppard. Nevertheless, I really felt like Campbell was really enjoying himself on stage and appreciative with what was happening. The rhythm section of Appice and Soussan was rock solid as you would expect from two such heavy metal veterans. Even the songs from Last In Line‘s debut album Heavy Crown sounded really good live. Although I have the record Heavy Crown, it had to be at least two years since I last played it so I really felt unfamiliar with the three tracks played aside from the single “Devil In Me.” As Freeman pointed out, Last In Line are embracing the new (Last In Line songs), the old (early Dio tracks) and moving forward. There are of course two factions since Ronnie James Dio‘s death that are continuing the singer’s music with Dio Disciples and Last In Line. After hearing Freeman note that the two remaining original Dio members (Campbell and Appice) are in Last In Line (with Ronnie James Dio passing away in 2010 and bassist Jimmy Bain no longer with us since early 2016), there just seemed to be a lot more legitimacy in Last In Line rather than Dio Disciples playing the Dio songs. My favorites from Last In Line were the opening song “Stand Up And Shout” and the classic “Last In Line.” At this point in the day, I felt that Last In Line had quite simply just blown away all of the prior bands from Day Two and all of the groups from Day One (aside from Kix). I was really looking forward to hearing Lynch Mob with Robert Mason handling the lead vocals. 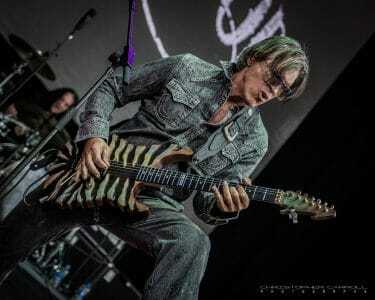 Guitarist George Lynch may be the epitome of cool. He looked fantastic in his all grey outfit. Is there any musician in seemingly better shape than Lynch at the age of 63? Probably not. 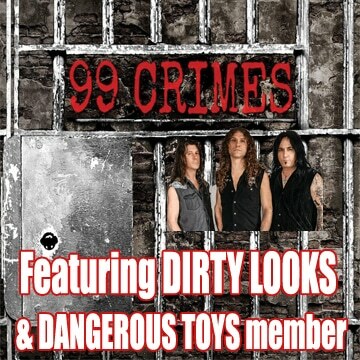 This was going to be Mason‘s second time up on stage after his acoustic performance with Warrant. I had big expectations but unfortunately, they were not met. I did enjoy that Lynch Mob finally seemed to change their setlist after the seemingly same old, same old setlist that the band had continued to play with singer Oni Logan over the years. “Street Fighting Man” and the Dokken cover “It’s Not Love” were real treats to hear in a live setting. 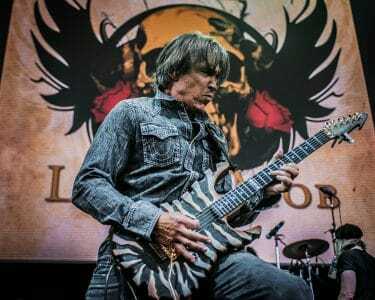 I thought that Mason did justice to the Dokken songs. Unfortunately, I was a bit disappointed with Mason‘s presence on stage as he didn’t cover much ground on the bigger M3 stage. Mason seemed a little awkward fronting the band and especially when he was waiting for some endless jam to finish the song. In addition, I heard him state to the rest of his bandmates that he didn’t want to talk to the audience and to just play another song. Really? The few exchanges between Mason and the great axe slinger George Lynch kind of left to be desired. At one point, Lynch advised Mason that he should be called “Spartacus.” Moving along, Mason wasn’t the only one pulling double duty as drummer Scot Coogan would show up later on behind the drum kit for the one and only Ace Frehley. 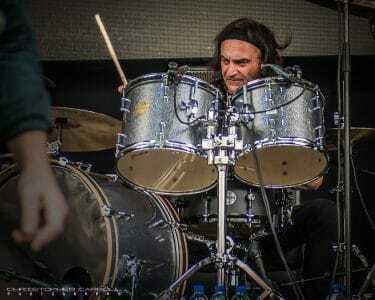 The most surprising part about Lynch Mob‘s set was seeing how the group played well past its seemingly scheduled set time. This seemed quite disrespectful to Lynch‘s perhaps now former Sweet & Lynch bandmate Michael Sweet whose band Stryper was on next. It’s not like Lynch Mob were trying to speedily squeeze in an extra song or anything like that. 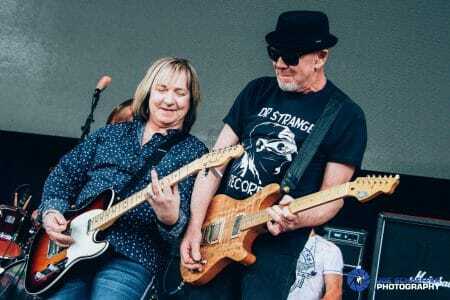 Rather, Lynch and company were jamming an extended needless ending to their final song “Wicked Sensation.” It got so bad that the curtain between the rotating stages was lifted but that did not deter Lynch, Coogan and bassist Sean McNabb from continuing their extended final jam. You could see at least one of the Stryper band members (I believe drummer Robert Sweet) standing and looking a bit frustrated with what was happening. It’s a shame because Lynch Mob‘s setlist overall was a good one but the group’s performance seemed really tainted by the way it finished. 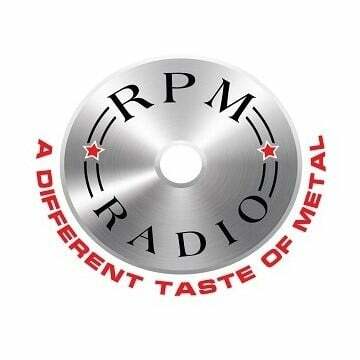 Stay tuned for Sleaze Roxx‘s Part 2 review of Day Two of the M3 Rock Festival!